Need to move a car from Philadelphia, PA to Omaha, NE? Omaha is the largest city in the state of Nebraska, with a population of over 420,000 residents. It is also home to many of the world’s largest things. For instance, here you can visit the world’s largest indoor desert and the world’s largest indoor forests. Or how about the world’s largest nocturnal exhibit where you can watch animals in their night activity patterns? But Omaha is not only good for visiting – it can become your new home. 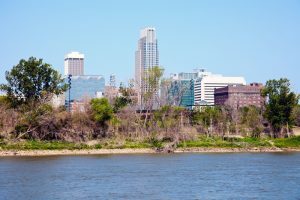 If you are relocating to Omaha, you might need some help moving your car. Our company will be glad to ship your car from Philadelphia, PA to Omaha, NE! There are over 1,200 miles between Philadelphia and Omaha. If you are not a huge fan of road trips, you probably do not want to spend over 18 hours behind the wheel just to move your car. Moreover, such a long drive would also cost you a lot. Just think how much you would spend on gas, and don’t forget about a night you would probably have to stay in a motel. Luckily, you can avoid all that by using auto shipping services. At Philadelphia Car Transport we will be happy to ship your car to Omaha. We offer some of the best rates for Philadelphia auto transport in the country. Our team will deliver your vehicle door-to-door safely and securely. You can choose between open and enclosed car transport and get expedited auto shipping if needed. We will make sure you will get your car right on time! Get free quotes on Omaha car transport from Philadelphia today and save on moving your car. Our team is looking forward to shipping your car!